In a world that thrives on aggression and physical force, male violence has become an all-too-frequent response to the frustrations and anxieties that fill men's lives. As a result, the lives of women and children have suffered dramatically, as society has come to tolerate their victimization. 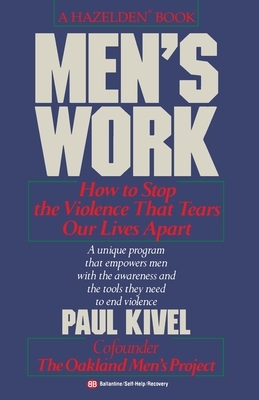 Using the unique program at the Oakland Men's Project in California as a basis, Paul Kivel, one of its founding members, shares an extraordinary approach to stopping male violence. The key is understanding and evading the cultural forces that box men in and often reward them for violent behavior. Through exercises, thought-provoking questions, and intense self-examination, Men's Work helps men learn new rules and new roles in personal relationships and in the world at large. Men's Work gives back to men the power and responsibility they need to unlearn the lessons of control and aggression. Going beyond the mythology of the current men's movement, this revolutionary work identifies and develops the social and political framework on which to place men's individual efforts to recover their humanity.